I have hooded eyes which can make applying liquid liner or any eye liner for that matter a strenuous task. 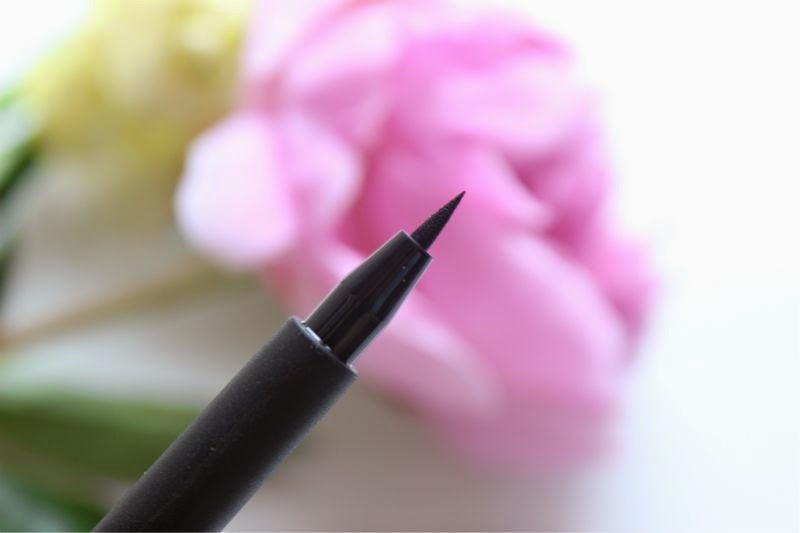 If I do wear liner on my top lids it is more often than not a liquid liner comes in a pen style applicator (with a felt applicator), I simply find I have more control this way and that the preciseness of the applicator works in my favour. 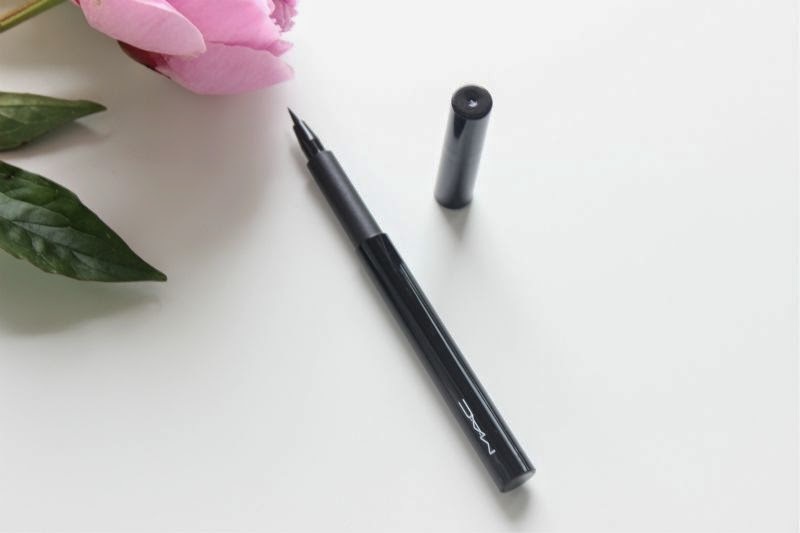 I can't tell you how many liners I have owned, tried and disregarded over the years but I can say that MAC Penultimate Eye Liner in Rapid Black is a new favourite. As you can see from the images MAC Penultimate Eye Liner happily slots into the pen style applicator category but what sets it a part in my book is the nib of the pen. It is very firm meaning you can create sharp lines and angles yet doesn't tug or drag on such a delicate area. The nib is fairly small meaning even those with hooded eyes can easily apply it without getting it all over the eye lid. In the past I have owned eye liners of a similar style and have found that with continuous use the nib bleeds product which is far from ideal. MAC Penultimate Eye Liner has yet to do this, after a month of using this eye liner not only does it look as good as it did on day one - no bleeding, no drying out just perfect, matte black lines each and every time! 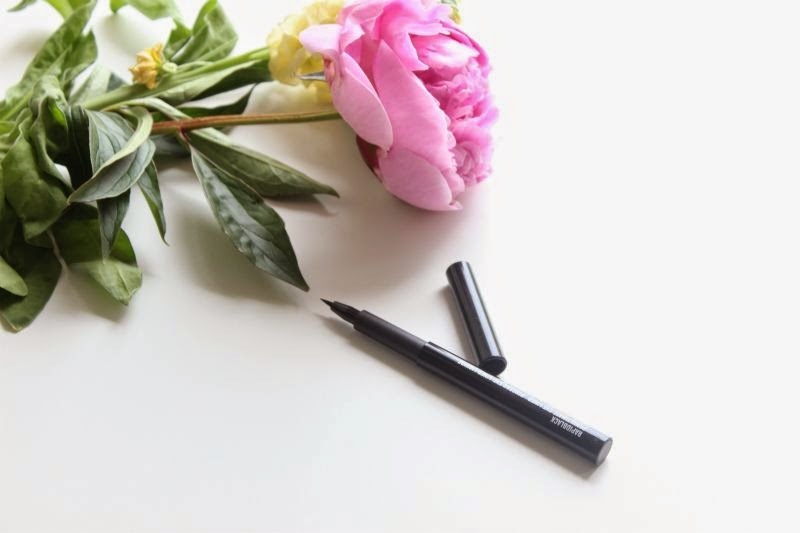 The fluid within the MAC Penultimate Eye Liner in Rapid Black is black, not the deepest of blacks but still black. It is my go to daily eyeliner as it isn't harsh but rather flattering, for a night look I would seek out something a little more pigmented or perhaps go over my cat flicks with the MAC Penultimate Eye Liner one more time for added depth and drama. What I personally like about the formula is that it can withstand sweat, heat and rain without smudging or smearing down my face. It doesn't dry out or become crispy throughout the day nor does it flake. Rather it stays comfortably put for a good 10 hours or so of wear, never fading or as mentioned flaking or smudging. 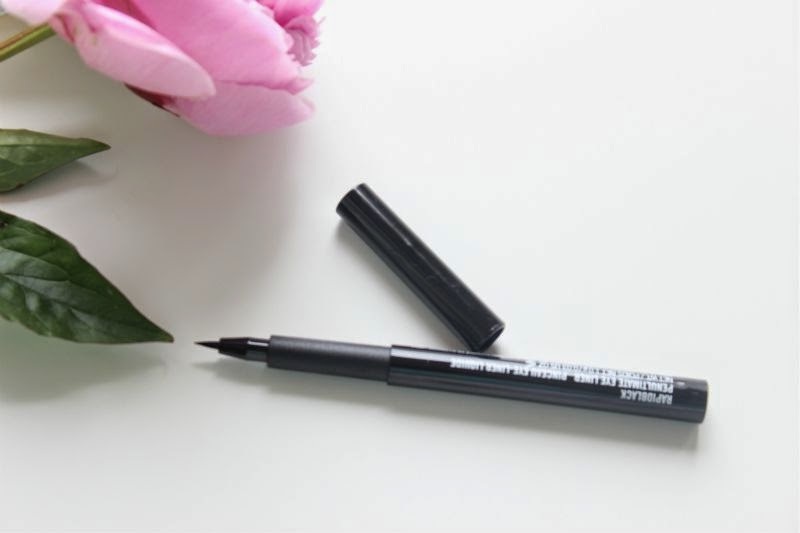 If you are just starting out with liquid eye liners this is the one I fully recommend, ditto if you want a long lasting and comfortable liquid liner. 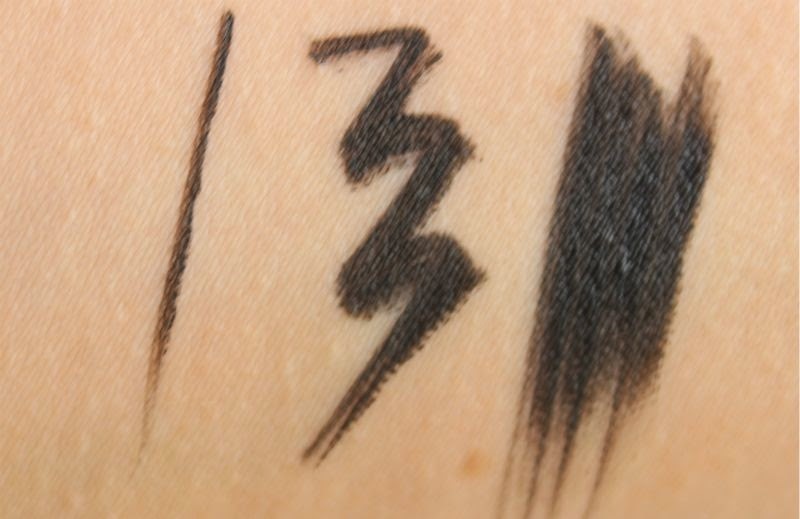 MAC Penultimate Eye Liner in Rapid Black £17 via Debenhams - link.